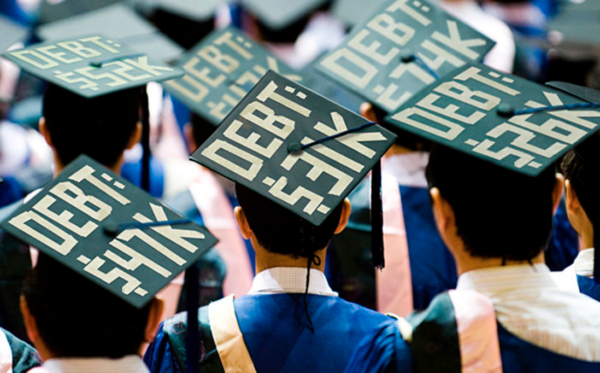 The student debt crisis in America continues to expand. According to the latest figures from the New York Federal Reserve, the total Student Loans Owned and Securitized, Outstanding (SLOAS) grew to over $1.52 trillion in July. Although the debt crisis affects millions of Americans, the debt is not spread evenly across the country, as millennials in some states are much more likely to be weighed down by student loans. A new study by personal finance website GOBankingRates revealed that graduates in the northeastern states have the heaviest financial burdens. Of these states, millennials in New Hampshire have outstanding student loans around $36,367 — that is the highest rate in the country, according to the Institute for College Access and Success’s 12th Annual Student Debt report. Geographically, GOBankingRates noticed an alarming trend of northeastern states made the top ten list for highest average debt and highest percentage of graduates with debt. 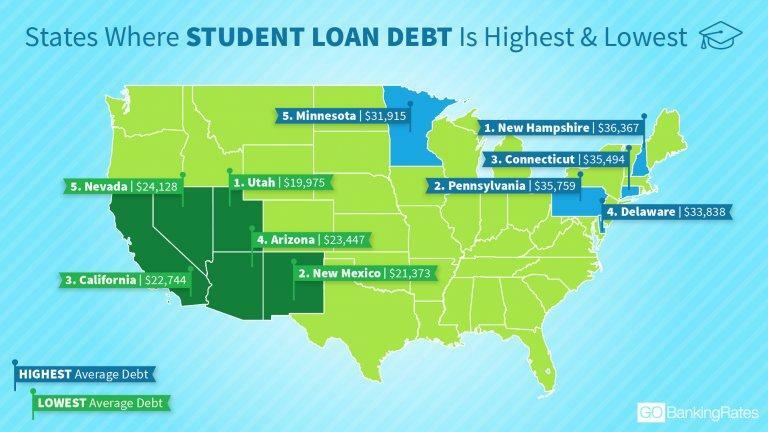 As shown below, New Hampshire and Pennsylvania made the list while Connecticut, Maine, Massachusetts and Rhode Island were among the highest for average debt. It makes sense that the Northeast states are carrying higher student loan debt, according to Adam Minksy a lawyer specializing in student loan law. “Certain states have less robust, affordable state education systems,” Minsky tells CNBC. States like California and Florida have major state universities systems that are affordable, so many millennials chose those institutions with the least amount of debt, Minsky added. GOBankingRates also noticed states like Utah, New Mexico, and California had the lowest percentage of graduates with debt at just 43 percent and the lowest average debt around $20,000. In fact, the states with the second- and third-lowest percentages of graduates with debt, Wyoming and Arizona, were also both among the ten states with the lowest debt. Heavily indebted millennials might have a shot at paying off their student debt via a new game show on TruTV called “Paid Off.” Contestants must have lots of student loans and could have the chance to answer trivia questions – and if they win, the game show will pay off their student debt.